Spend your nights at the enchanting Sand Rivers. 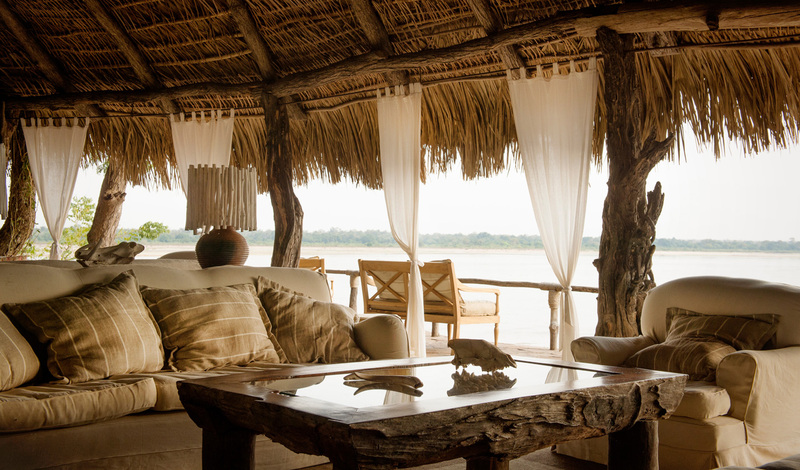 This small intimate lodge sits on the banks of the Rufiji River and blends beautifully with the stunning surrounds. A contemporary and luxury feel runs throughout the lodge; sit in the infinity pool and look out to the river where idle hippos bathe quietly in the sun. Just don’t dive in to join them – hippos can get awfully territorial. Sand Rivers is made up of stone and thatch lodges sheltered by Tamarind and Mahogany trees on a rocky peninsula overlooking the Rufiji River. Set on the convoluted web of sand river channels, open plains and ox bow lakes, it’s clear where Sand Rivers gets its name. 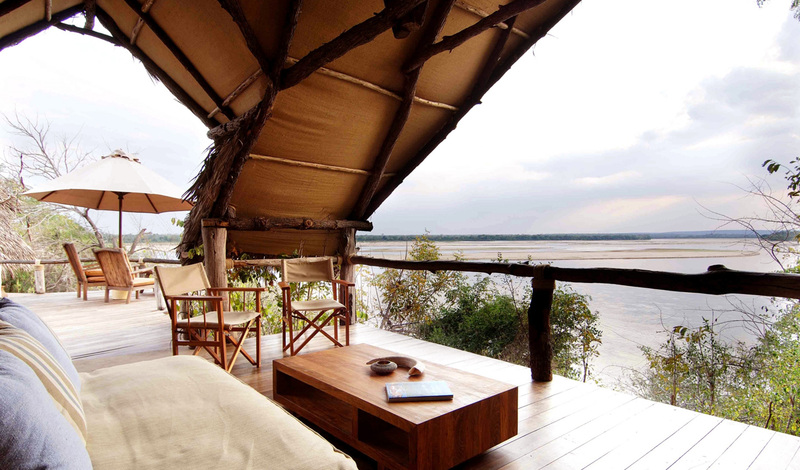 Overlooking the mile wide Rufiji River, this luxury lodge lets you enjoy and explore the diversity of Southern Tanzania as you sleep under the stars and watch Tanzania’s wild animals in their back garden. Sit out on your private deck and bear witness to the inspiring views that can be seen from each room all around the clock. Take your shower outside overlooking the plains as you listen to the sounds of the bush and finish the day watching the sun go down over the river, drink in hand. Combine this with lots of space, luxury décor and suites that all come with their private plunge pool and you’ve got your perfect African hideaway. Whatever you want out of your safari, Sand Rivers will meet your every need with a smile. Forget crowded national parks and tourists, think uninterrupted views and animal heaven. The intimacy of this Tanzanian lodge will make you feel like royalty as you are taken on a journey to discover the real Africa in style.